This week, we will have a friendly 1v1 tournament where your long-distance friends are also invited to play! - When you rent your PC at Ignite, you will be eligible to participate in the tournament. You may also refer up to 2 long-distance friends to play in the tournament, so you can all cheer each other on. If you or one of your friends win, the player in attendance will win a prize! - Every player needs to be in the "ignite" channel. The tournament starts at 8pm CST, and long distance players who cannot be located will forfeit! Brackets are posted in this channel. - Make sure you know your friends' battle.net names to provide at the gathering, and have informed them of the date/time/channel! 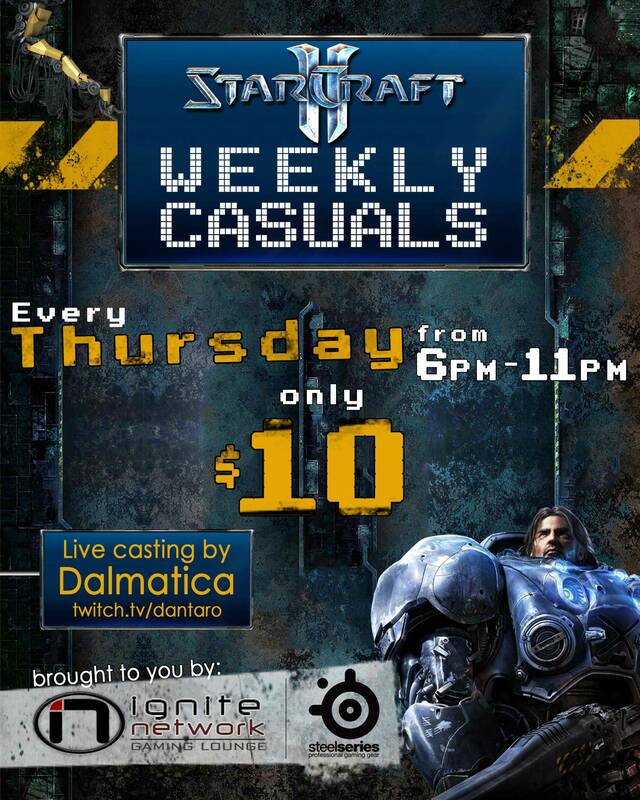 - Starcraft players receive a huge gaming discount - $10 for 5 hours of gaming during the event. Play in the tournament, get some practice, watch other people play, ladder, or just start games with your friends! - Come hang out and practice with other local players. Use our peripherals, or feel free to bring your own headset, mouse/pad, and keyboard. We'll happily hook it all up for you! - A SteelSeries Battlestation, where you can play a few games to test some of their amazing gaming gear, free of charge! I am in China right now, but if the continues, I will be there sometime in august! Unfortunately, I will not be able to attend this gathering (for the first time!). Everyone in chicago should go though, it's so much fun ! Here's the rules and map pool for tonight - good luck!